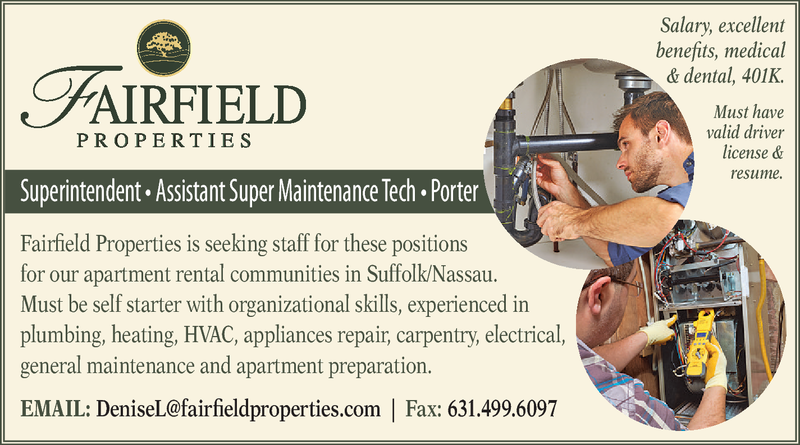 Fairfield Properties is seeking staff for these positions for our apartment rental communities in Suffolk/Nassau. Must be self starter with organizational skills, experienced in plumbing, heating, HVAC, appliances repair, carpentry, electrical, general maintenance and apartment preparation. Salary, excellent benefits, medical & dental, 401K. Must have valid driver license & resume.